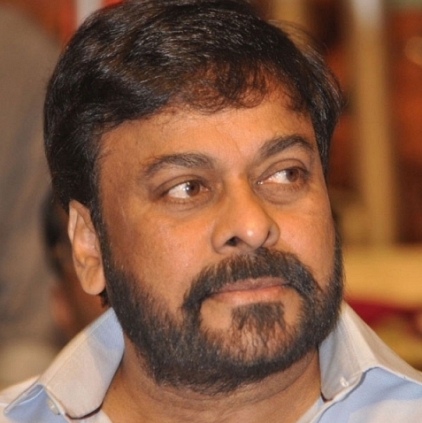 Chiranjeevi’s 150th film, the official remake of Vijay-Murugadoss’s blockbuster Kaththi, is fast progressing. Looks like the first glimpse of the project is going to be revealed very soon. Yes. The makers have planned to release the first look poster of Chiranjeevi150 on his birthday, which falls on 22nd of August. The title is also expected to be officially announced on the same day. Headed by director V.V.Vinayak, the film has Kajal Aggarwal reprising the role of Samantha, while music for the film is scored by Devi Sri Prasad. Wedding bells in Keerthy Suresh’s household! Kabali girl Dhansika in a popular sequel? Chrompet Vetri Theatres To Hold A Special Show For Vijay's Kaththi On 12th January. People looking for online information on Chiranjeevi 150th film, Kaththi will find this news story useful.